ADS5 at RCA Show 2012 and ‘Between the A12 and River Lea’ exhibition. Particular congratulations to final year students Jack Wates, Joseph Deane (who will represent the RCA in the RIBA Silver medal awards) and Emma Emerson (who was awarded the NLA prize by Peter Murray). 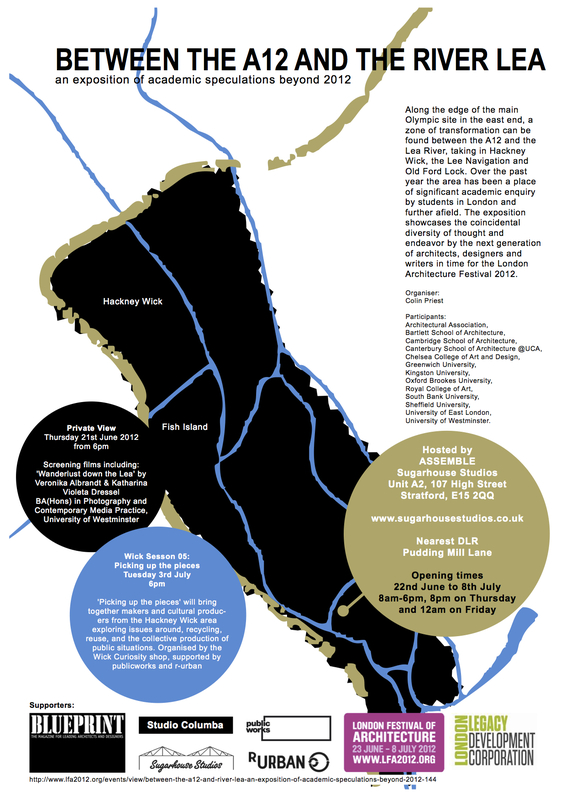 The work is on show at the RCA Show 2012 until July 2nd, and at the exhibition ‘Between the A12 and River Lea‘ at Assemble’s studios, which is open until July 8th as a part of the London Festival of Architecture.